I have used the Verb hair care line for almost two years and rely on these high quality products such as the Verb Ghost Oil (check out my review) on a daily basis to keep my long, highlighted hair looking its best. I love that the products perform exceptionally well while feeling luxurious and yet the product line is quite attractively priced. Recently my stylist had mentioned a new trend in dry shampooing so I really looked forward to giving it a try. I shampoo my hair several times a week in order to keep it as healthy as possible. Having a dry shampoo will allow me to refresh my hair allowing me to wash it even less while still having my hair look and feel great. Therefore, I couldn’t wait to try the new Verb Dry Shampoo ($14) on my hair as well as my children’s hair. Verb Dry Shampoo was designed to make it easier than ever to keep a blowout or style looking fabulous between washings by absorbing oil, maximizing body and volume and preventing the damage that inevitably comes from frequent washing and styling. I will admit that I was formerly a wash-every-day gal but after my stylist convinced me it was damaging to my fragile hair I stopped washing daily. Over the past year, my hair has had less breakage and has grown longer with less damaged ends. 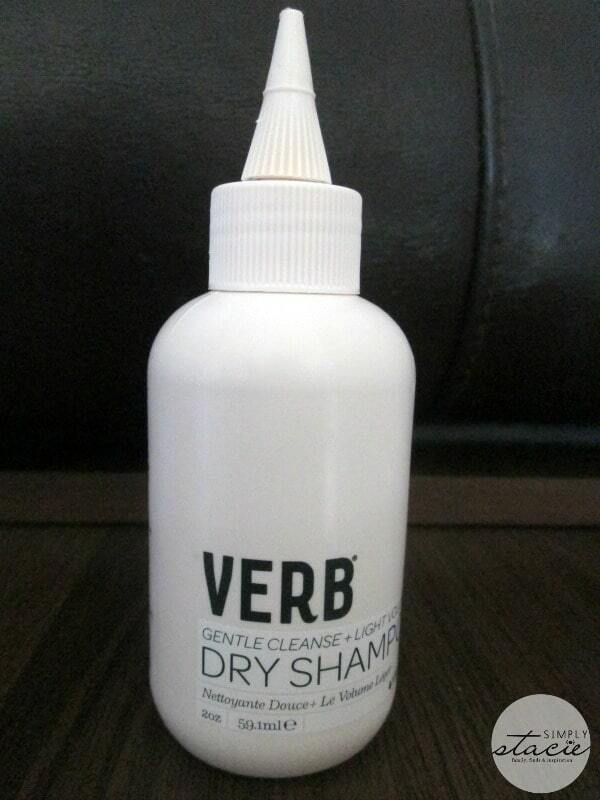 By using Verb Dry Shampoo, I expect to be able to eliminate one additional wet shampooing per week! This exceptional non-whitening product is so easy to use. I waited until two days post shampoo to try it out, sectional the hair with clips. I applied a small amount of powder to the roots of my hair with the convenient to use bottle tip and then took out the clips. I left it on for two minutes and then used my fingertips to massage it into my scalp and through the hair. Then, I brushed my hair and couldn’t believe how it looked like I had just blown it out with the hair dryer after washing and drying. 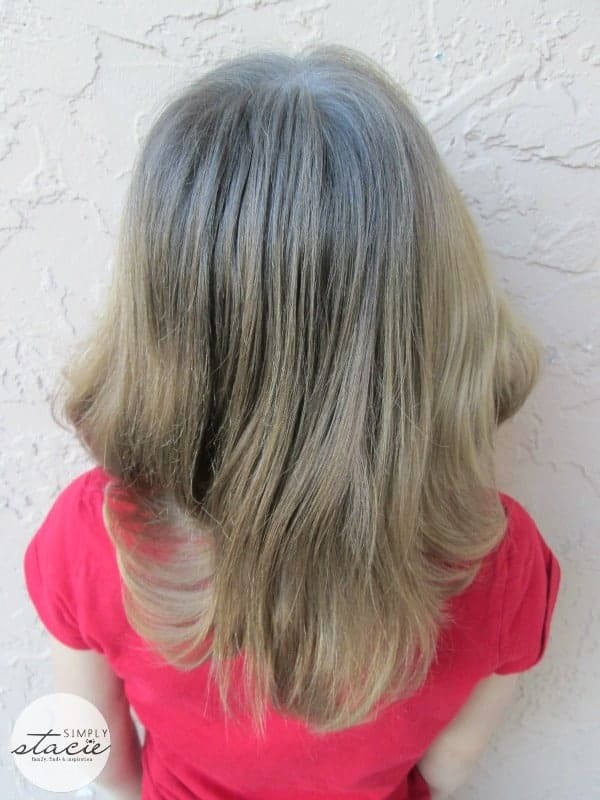 I also tried it out on my young daughter’s hair and we loved the results! It is very lightweight and seems to vanish into the hair/scalp so it absorbs the oils that make hair look greasy without being noticeable. 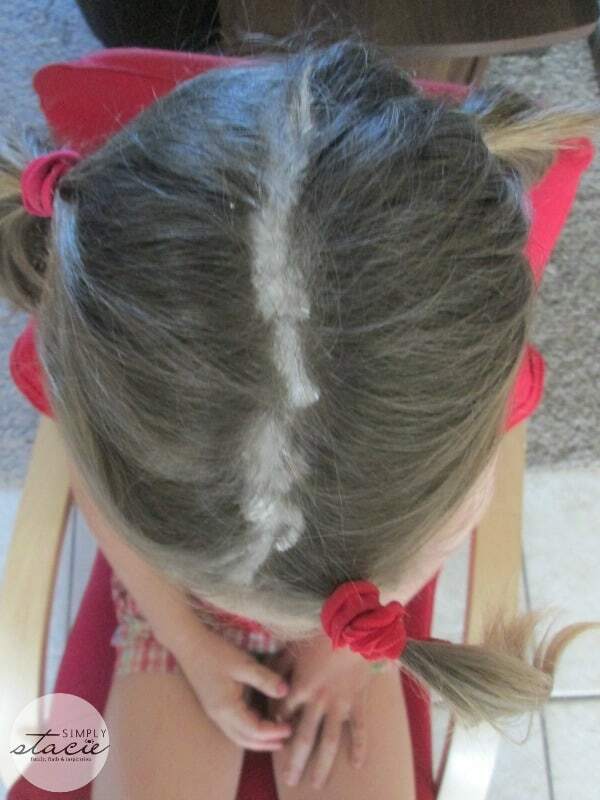 Both my daughter and I have very sensitive scalps and this product caused absolutely no irritation. Verb Dry Shampoo is my new must-have hair care product! It makes getting ready in the morning so much easier for my busy lifestyle. In fact, it far exceeded my expectations! I also appreciate that Verb products are safe for my entire family as this brand does not contain harsh chemicals, sulfates or parabens. You are invited to visit the Verb website to learn more about the new Verb Dry Shampoo and browse the entire cruelty-free product line. Verb products are available for purchase in the US at ULTA.com and ULTA Beauty locations and at specialty salons in Canada (you can find a location near you using the store finder on the Verb website). The sculpting clay looked interesting to try. I bet that volume spray would be cool to try! The leave in mist would be another good product for my hair. i like the volume spray.